Apple cornbread gets a sweet-tart flavor from grated green apples. Use Nordic Ware’s apple cakelet pan to make adorable apple-shaped individual servings. It’s Day 3 of AppleWeek! Have you checked out the giveaway prizes and entered to win yet? If not, head over to Monday’s post to read about the prize packs from our generous sponsors and fill out the entry form. Today I’m sharing a recipe that’s a little bit sweet, and a little bit savory. It’s apple cornbread, baked into individual servings in Nordic Ware’s apple cakelet pan. 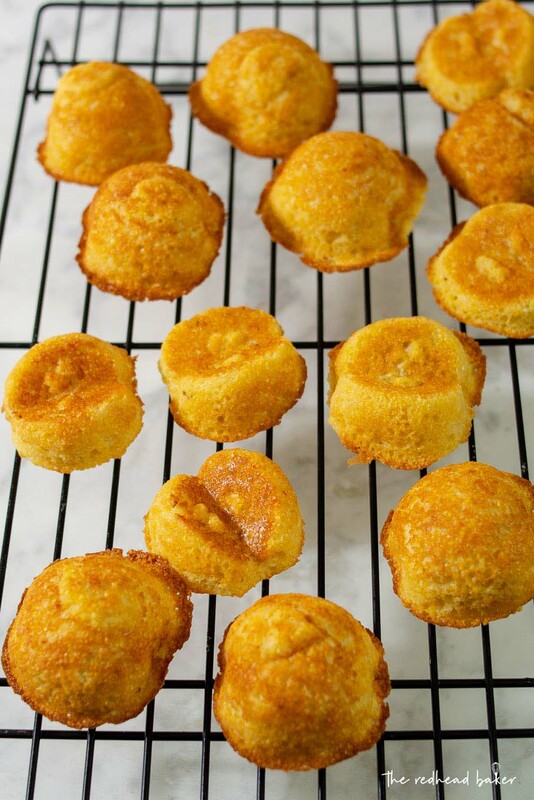 How cute are these apple cornbread cakelets? The wells include different shapes of apples, so some are a little bigger than others. My cornmeal was a little on the coarser side, so the shape of the apple wells are quite as defined, but something with a finer crumb, like cornbread made with finer cornmeal, or an apple cake, would show the outlines better. I used green apples in this recipe, but you can use any good baking apple, like Braeburn, Gala, Honeycrisp, Fuji, etc. to make this cornbread. 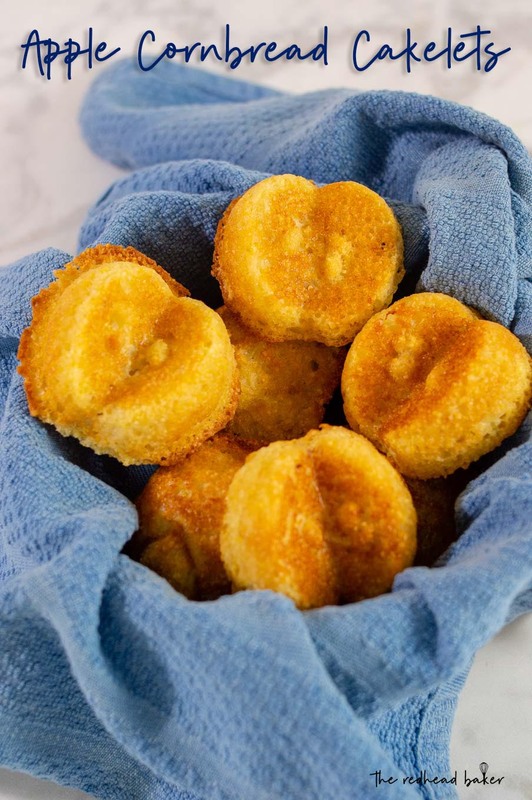 Sauce apples will break down during baking and affect the consistency of your cornbread. I love Nordic Ware products. I have two of their bundt pans, and they make quality baking pans. 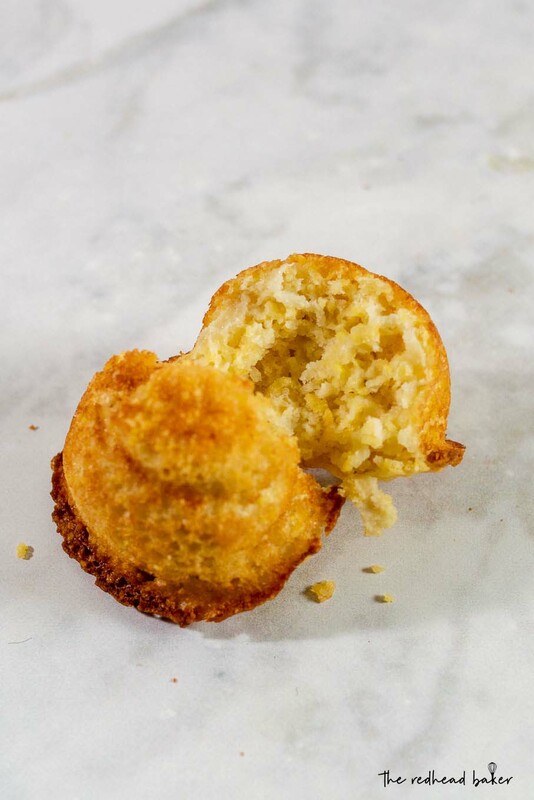 They recommend brushing a little bit of melted butter into each well, then dusting with a little flour to prevent the cakelets from sticking. To be perfectly honest, I completely forgot to dust my pan with flour after brushing with butter but before portioning out the batter, and my cornbread cakelets didn’t stick at all! 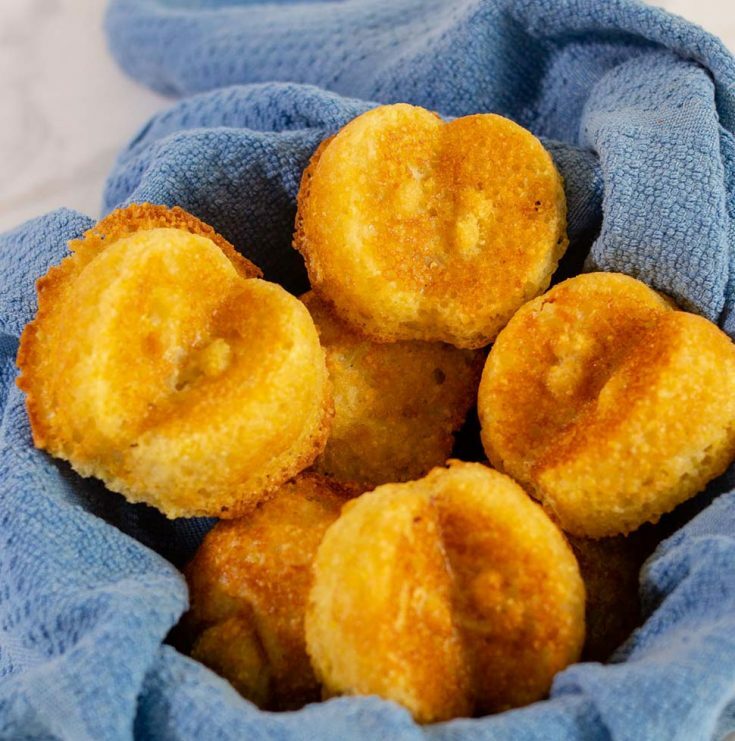 These are delicious, and will make a great addition to our Thanksgiving meal this year! Adapted from Tastes of Lizzy T, apple cornbread gets a sweet-tart flavor from grated green apples. 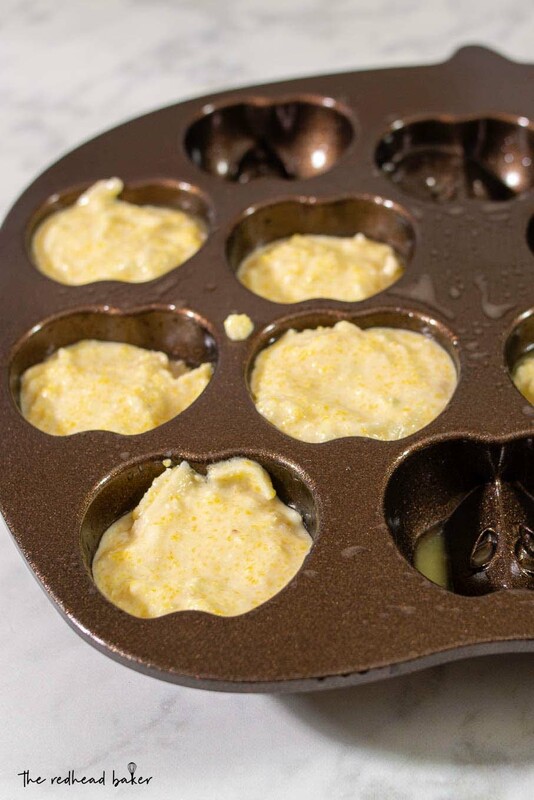 Use Nordicware's apple cakelet pan to make adorable apple-shaped individual servings. In a bowl, combine the corn meal, flour, baking powder, baking soda, salt and sugar. In a separate bowl, beat together the egg and milk. Mix into the cornmeal mixture. Add the apples to the cornbread mixture and fold in gently. While whisking the cornbread mixture, gradually drizzle in the melted butter. Brush melted butter into each well of the Nordicware Apple Cakelet pan, then sift a little flour into each well. Using a medium cookie scoop, fill each well 3/4 full with batter. Bake at 400 degrees for 10 to 15 minutes, or until the center is cooked through. Cool on a wire rack until cool enough to handle and serve. What a great pan!! Those corncakes are adorable. What cute little cakelets! It doesn’t get more seasonal than that. Yum!